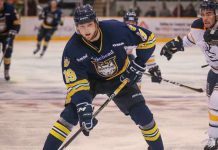 THUNDER BAY – SPORTS – Lakehead Thunderwolves’ sophomore forward Daniel Del Paggio is the winner of the Molson Cup trophy for the 2018-19 season. 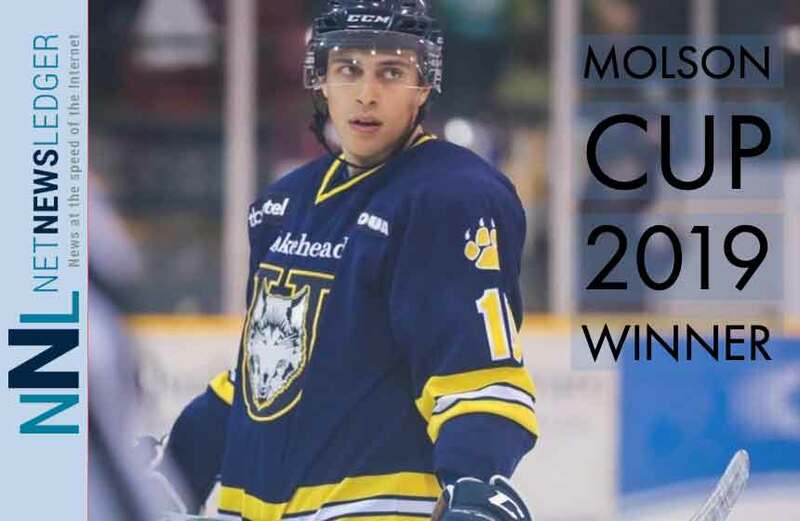 Sophomore forward Josh Laframboise finished in second place in the Molson Cup standings with 17 points, five points shy of Del Paggio’s total of 22. Senior goalie Devin Green rounded out the top three with 11 points. As the top three players in the Molson Cup standings, Del Paggio, Laframboise and Green will all have their names inscribed on the trophy and receive gift packs courtesy of Molson Canada. This marks the fourth year in a row that Green’s name will go on the cup, something that no other Thunderwolf has ever achieved. 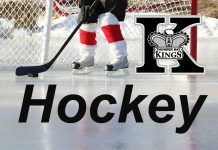 Senior goalie Nic Renyard, sophomore forward Cooper Leitch and freshman forward Tomas Soustal finished in a three-way tie for fourth place with 10 Molson Cup points each.